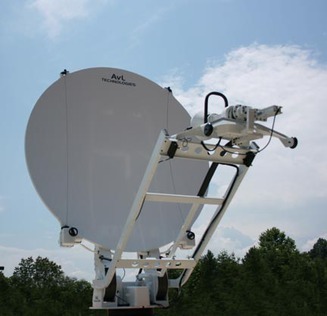 AvL's 2.0m vehicle-mount / drive away SNG antenna systems offer strong performance in a small, lightweight and low-profile package. The 2.0m antenna systems offer standard Ku-band with C, Ka, L and X-band optional. The antennas feature integrated GPS and level sensors for automatic vehicle tilt compensation.